We offer a digest of quotes from the BCM of the 1930s and 40s. Regarding the authenticity, or otherwise, of the attribution, see C.N. 5902. 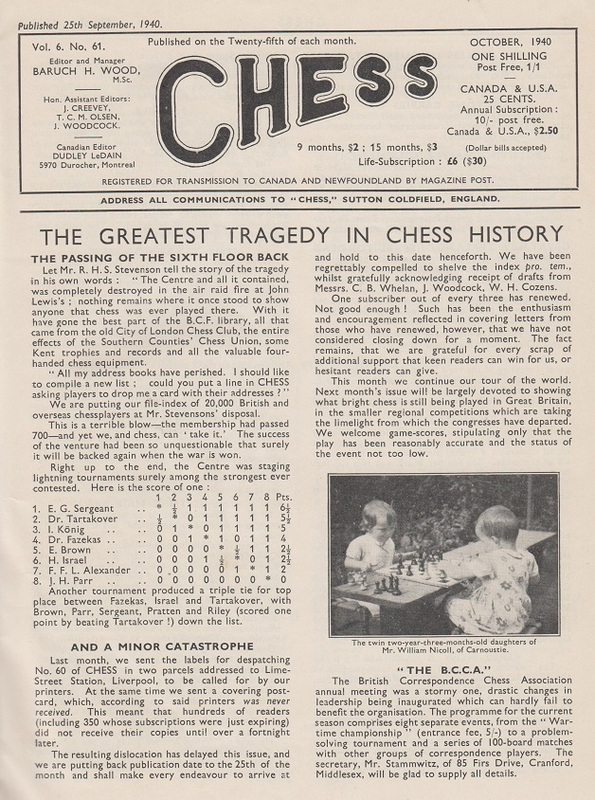 The photograph was also published on page 93 of CHESS, February 1952. ‘Mr J. Mieses informs us that a tournament has taken place in Munich last September. … Mr Mieses calls this a “Quisling” tournament and thinks that Opočenský, Foltys, Roháček, Rabar, Nielsen, Cortlever and even – Mr Mieses regrets to add – Dr Alekhine ought to be ashamed to go as guests to Germany. It is with extreme regret that we must subscribe to Mr Mieses’ criticism. The facts of the case appear to lend credence to the political and literary activities with which the present champion has been credited. We have studiously refrained from quoting from his alleged writings because even now we do not think it possible for Dr Alekhine to be the author of the farrago of absurdities and contradictions which have been attributed to him. 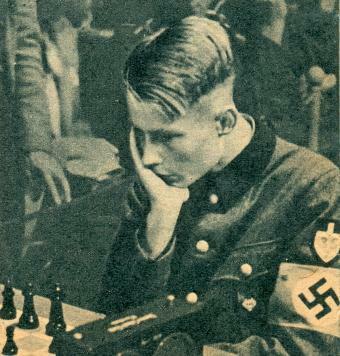 ‘The “New Order” in Germany is busy on chess literature. The outstanding text-book in the German language is Dufresne’s Lehrbuch des Schachspiels, which has held the field for some 60 years. From 1901 to 1937 it was periodically revised, and brought up to date by J. Mieses, and so remained a thoroughly modern work. As its popularity could not be gainsaid, it had to be “aryanized”, and a new revision was entrusted to a 100 per cent Aryan master [Max Blümich (1886-1942)]. 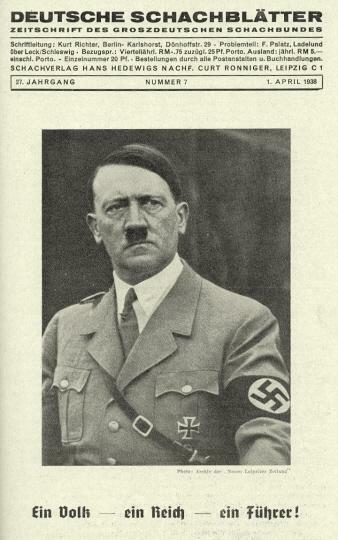 It will hardly be credited that the names of “non-Aryan” players have been omitted from the historical section, including Kolisch, Zukertort, Steinitz, Lasker, Rubinstein, etc. Not only that, all their most brilliant games which adorned earlier editions have been eradicated, although a few of their games were allowed to remain – those they lost! This is on a par with the maintenance of “Aryan” superiority in chess by the simple expedient of excluding non-Aryan competition. ‘In the course of these notes, we referred to the grandiose plans by which German chess, supported by German propaganda, proposes to organize European chess, without reference either to the probable outcome of the present crisis or to the wishes of the bulk of players in the invaded countries. ‘One of our supporters has written to us in protest against our reporting chess news from countries with which we are at war; according to him, we should ignore them and not give them gratuitous publicity. ‘The news of this unspeakable tragedy [the death of Vera Menchik] will be received by the chess world with sorrow and with abhorrence of the wanton and useless robot methods of a robot people. Note: This article originally appeared on pages 50-55 of the Winter 2000 issue of Kingpin. 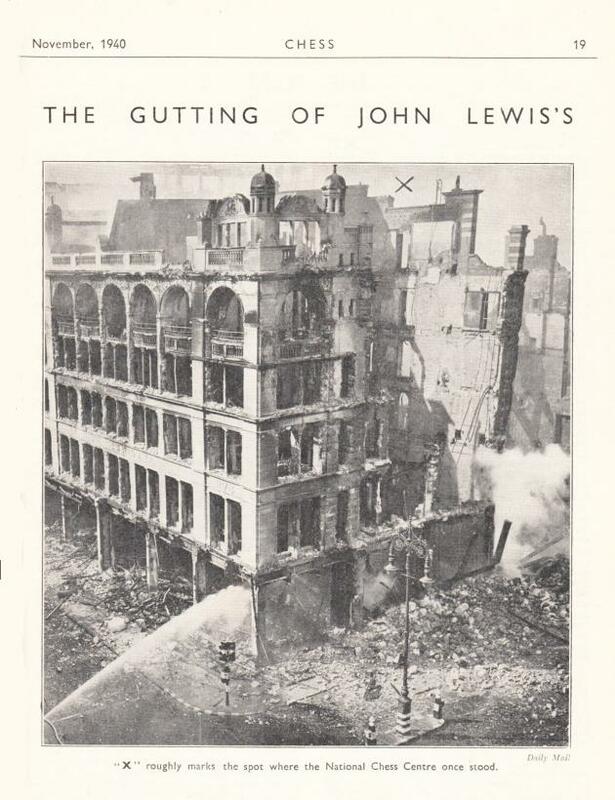 The front cover of the magazine’s Spring 2000 issue had been inspired by the front page of the 1 April 1938 issue of Deutsche Schachblätter reproduced above.